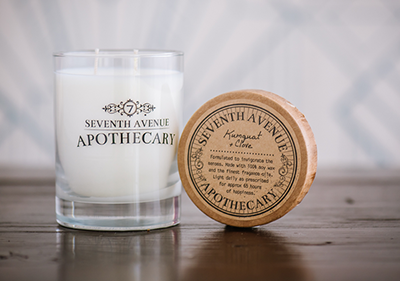 Seventh Avenue Apothecary sells artisan candles made with clean burning soy wax. All ingredients are made in the USA. Does your Love, love to travel? 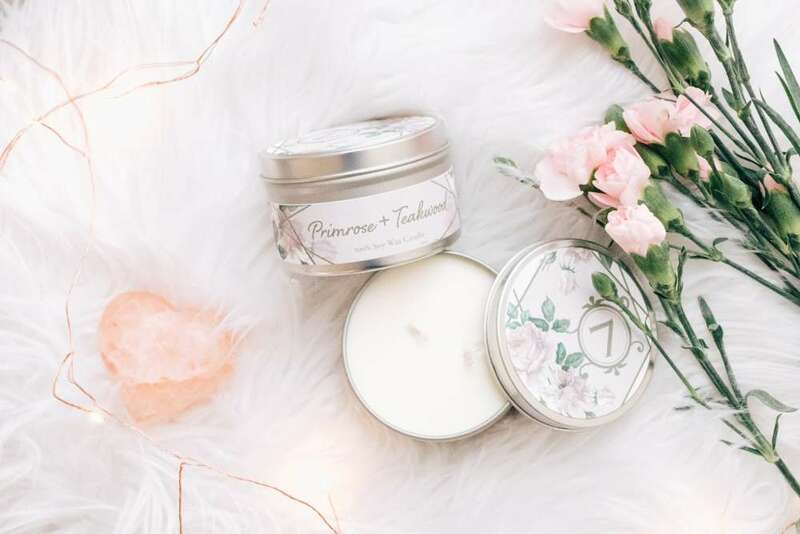 This combo set of our limited edition Primrose + Teakwood Travel Tin and White Tea + Fig artisan room spray is the perfect on the go travel scent accessory. 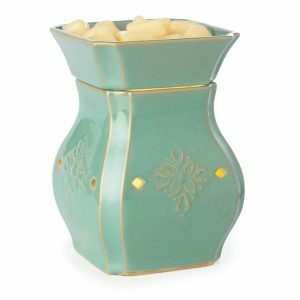 White Tea + Fig: Hints of juicy citrus are paired with the green floral notes of fresh and peaceful white and Green tea. The scent is finished off with the sophisticated essence of sweet fig. 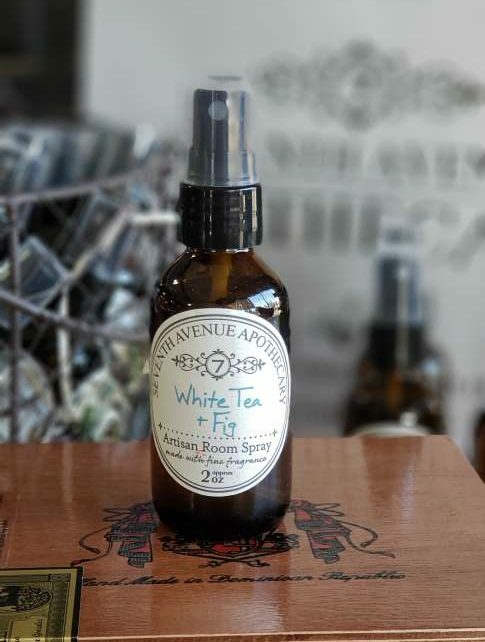 Our Artisan Fragrance Room Sprays provide instant scent. Just one to three spritzes will fill an entire room depending on the room size. SKU: VDay Travel Set. 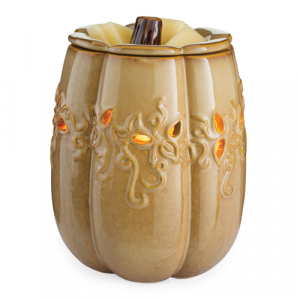 Availability: In stock Size: N/A Shipping Weight: .75 lbs Categories: Gift Sets, Holiday Themed. 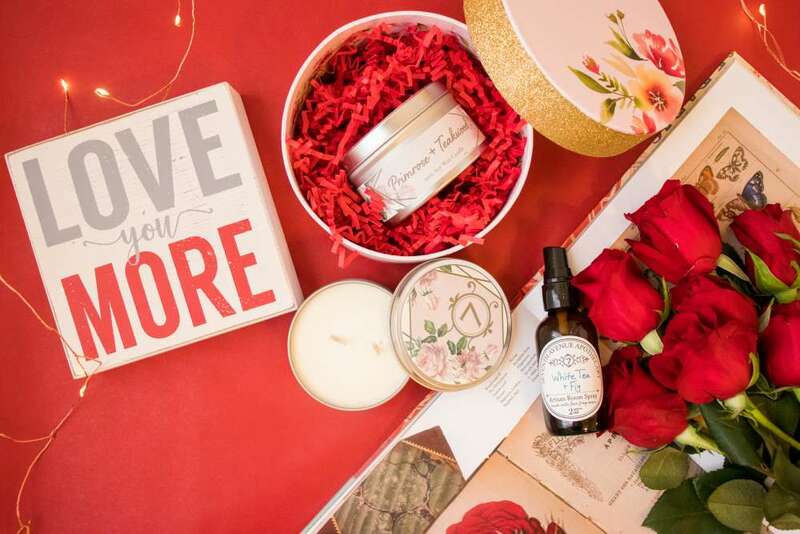 Tags: floral, for her, gift, gift set, Love, room spray, rose, travel, Valentine's Day. Do you love to travel? This combo set of our limited edition Primrose + Teakwood Travel Tin and White Tea + Fig artisan room spray is the perfect on the go travel scent accessory. 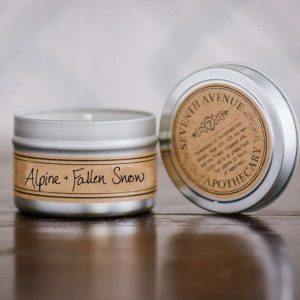 © Copyright 2019 Seventh Avenue Apothecary. Female Owned & Operated, all products made in the USA. All Rights Reserved. Interested in how we make our soy wax candles & wax chips? Complete your checkout in 5 min & get 15% off!